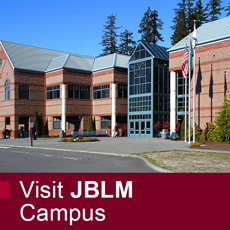 CWU-JBLM is located at the Stone Education Center at Joint Base Lewis-McChord (JBLM) in Tacoma, Washington. Active duty military, veterans and their family members, as well as civilians, can now earn a bachelor’s degree or certificate at a public university on base after earning their associate degree. Tuition Assistance (TA) - The Department of Defense’s standardized Tuition Assistance (TA) program provides financial assistance up to 100% for voluntary off-duty education programs in support of service members’ professional and personal self-development goals. The TA policy for the current fiscal year allows active duty service members to receive tuition assistance of up to $4,500 per year. *Note: that each Service has its own criteria for eligibility, obligated service, application process and restrictions that may not mirror the standard policy. Please check with your Education Services Officer to determine the benefits available to you. For more information on Tuition Assistance, visit the DANTES website.